We love tradition, don’t we? Whether it’s the food we eat on a holiday, a Saturday morning routine, or an annual event with friends, we love that which we are familiar with and can count on. And most of the time, we keep signing back up because it’s enjoyable. What happens, though, when tradition becomes stale? Stagnant? Uncomfortable? Unhealthy? It might seem easy to part with something that has become unsavory, but that isn’t often the case. While your head may know it’s time to make a change, your heart can be slower to follow, and actions even slower yet. Change is hard. People will stay with a non-productive, negative, and sometimes even abusive situation because the thought and effort required for change is too overwhelming. Establishing new habits, routines, and ‘traditions’ is scary. It may seem silly to ‘fear’ a different Thanksgiving celebration, but the fear is real. There is uncertainty in what to expect and concern in what you may be missing. Will there be regret afterwards? Will you feel left out, even if it was YOU that did the leaving? Or some other gap of pleasure that wasn’t filled leaving a hole of despair in your heart? People can be mean. A change in plans may offend others. While some may love and respect you for trying something new, or for making a healthy or necessary decision, others may not. There may be some who see your new path as offensive or even threatening. And they may speak out or behave viciously. Perhaps you are concerned that you may hurt someone’s feelings and that truly isn’t your objective? While all of the above may be true, the benefits of stepping over the line of change could include new experiences, joy-filled moments, special relationships, and a fresh perspective. And the goodness may overcome previously felt anxiety, awkwardness, boredom, and the regret of wasted time. At least worth giving a shot, right? Don’t do things just for the sake of doing them. 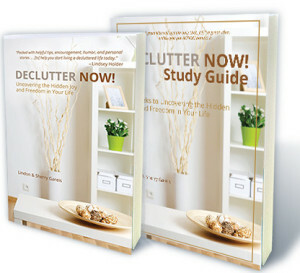 Declutter the guilt and obligations that are accompanying relationships which have run their course or moments which don’t deserve to be repeated. You aren’t being cruel or hurtful by making wise and healthy decisions with the limited time God has provided. Hand your concerns over to God and let Him manage the particulars. Stay focused on Him, make right decisions, and the rest will always work itself out for the best. Tradition? Just because they are ‘old’, doesn’t mean they are right for you. 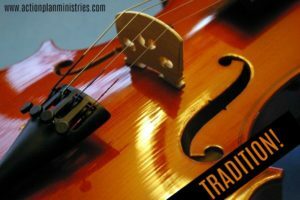 Sometimes the best thing you can do is begin a new tradition! This entry was posted in Inspirational, Self-help and tagged declutter, fear, guilt, healthy, obligation, relationship, tradition, unhealthy. Bookmark the permalink.